Kos offers holidaymakers an exciting blend of historical delights, stunning beaches and standout scenery. 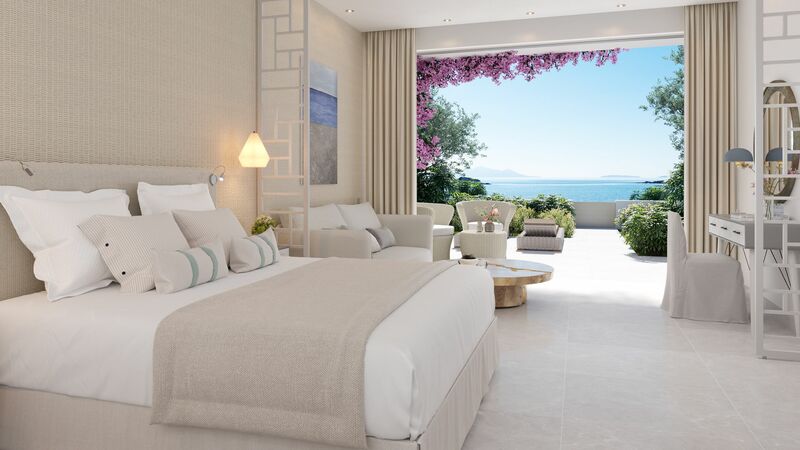 Nestled in the south east Aegean Ocean, a short hop from Turkey, you will find yourself surrounded by an impressive choice of beaches from secret coves and hidden bays, to beach bar backed golden strips, all edged by sparkling blue waters perfect for families, couples and groups of friends. Inland, the lush, green interiors provide plenty for adventurers with hiking and cycling trails, and if you climb Mount Dikeos you will be rewarded with the best views over the island. 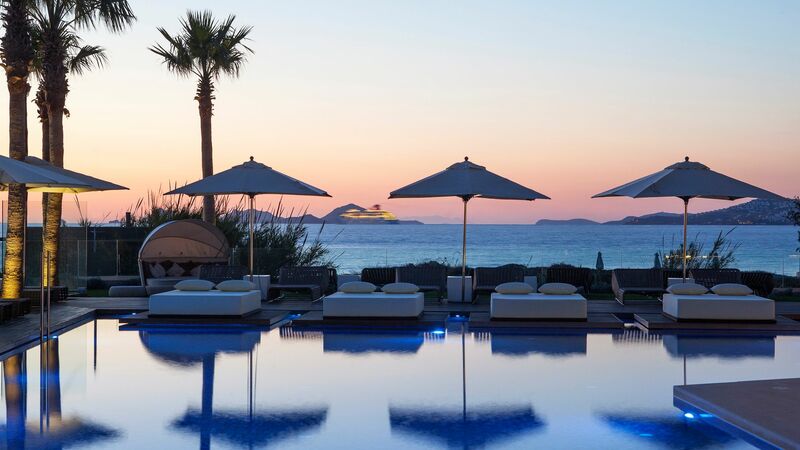 Quieter Lambi offers a more authentic experience of Kos with its traditional tavernas and golden sandy beaches. Kos Town serves up a slice of history with a 15th Century Castle alongside a plethora of Roman ruins and architectural delights and can easily be visited. An array of alfresco restaurants and tavernas feature traditional Greek cuisine alongside international favourites and the freshly caught catch of the day. Kos is an island of old and new where you can step back in time at the ruins of the healing temple of Asklepion, or explore timeworn windmills, sugar-cube buildings and soak up the sun on the stunning beach of Kefalos. Whitewashed hamlets are dotted throughout the hills and valleys sprinkled with wild flowers, pine forests and castles. The mountain village of Zia in central Kos is well worth a visit to experience authentic rural Kos, in addition to panoramic views of the island. If you fancy a day trip the Turkish town of Bodrum is, accessible via a short ferry ride from Kardemena. Its smart waterfront restaurants and bars and inspiring Ottoman castle are perfect for explorers. Wherever you stay, you can rest assured that your deluxe accommodation has received the Sovereign stamp of approval, having been hand-picked by our most trusted advisers. For fantastic views over Kos, I'd recommend a visit to the village of Zia, up in the mountains in the centre of the island. If you're interested in history, pay a visit to Nerantzia Castle, or the Castle of the Knights. Built in the 14th century on the site of a former Byzantine fortress, it stands tall at the entrance to Kos Town's port. Fancy some time away from the beach? Try a trip to Plaka Forest. Most people drive right past this stretch of shady pines when to-ing and fro-ing from the airport, so it’s a bit of a local secret. Best of all, a population of curious peacocks amble around the pine-perfumed footpaths. Terrapins live here, too – just search out the bridge to the pond. To make a day of it, pack a picnic of local goodies (fresh bread, heady posa cheese and super sweet cherry tomatoes) or bring charcoals and fishmonger-fresh seafood for the barbecue spot. Kos Town is the historic harbour capital of Kos. Its old quarter is ideal for an afternoon wander, thanks to its collection of Venetian and Ottoman architecture. There's also a medieval castle to explore, and Roman ruins dotted throughout the town. The Roman Odeon is a must-see, along with the Hellenistic Gymnasium and Ancient Agora. Want all that history bundled into a nutshell? The Archaeological Museum of Kos walks you through the town’s ever-changing past. For something a little different, wander north of the harbour, where golden Lambi Beach unravels beside a series of sand-side restaurants and cafés. Drive 45 minutes south-west of Kos Town, and you’ll come across the Roman archaeological site of Asklepion. Once upon a time, it was a therapeutic spa dealing in massage treatments, mud baths and herbal remedies; in fact, it’s named after the Greco-Roman god of medicine and healing. These days, you can see the old courtyards, baths and temples, as well as a Roman theatre that still hosts plays today. Climb to the top of the ruins for views over the Kos coast back towards towering Mount Dikaios. Kefalos is the name of a peninsula and town in western Kos. The whitewashed town – once the island capital – sets itself back from the miles-long sands of its sought-after beach. Lambi is the next-door neighbour of island capital Kos Town. The beach-skimmed suburb gets progressively more peaceful as you move north towards the tip of Kos. In Kos, you can expect to find most staples of classic Greek cuisine. Ingredients are sourced from what’s local and in season, and often prepared with simple techniques and sauces to let natural flavours take the spotlight. Seafood features heavily on menus, with plenty of prawns, squid and lobster. Traditional dishes to look out for include pittaridia (a cousin of moussaka), and unique red cheese made with red wine.